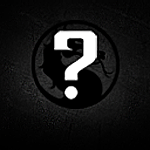 FDMK - Mortal Kombat 11 Official Fact Sheet Mentions Taunts? Mortal Kombat 11 Official Fact Sheet Mentions Taunts? UPDATE (1/19/2019): According to the video below, it appears that taunts will be limited to what your customized character does and says after winning a round. It doesn’t look like you’ll be able to taunt your opponent while fighting. Here is the information from the official fact sheet for Mortal Kombat 11. While there's not a lot of new information that we haven't seen yet, there was one thing that stood out. "Players can customize their fighters with a variety of Skins, Gear, Special Abilities, Intro and Victory Cinemas, Taunts and Brutalities that can be earned via gameplay." I haven't seen this mentioned yet. Mortal Kombat 11 may include the ability to taunt your opponent. However, in Mortal Kombat X, taunts were just a character's select screen animation that could be played in the character viewer. Hopefully, we can get more clarification on this soon! will introduce a new cinematic story continuing the epic saga that is more than 25 years in the making. All-New Story Mode: Continue the epic saga through a new cinematic story that is more than 25 years in the making. Raiden against Kronika, the Keeper of Time who created existence at the dawn of history. new characters, such as Geras, a powerful and loyal servant of Kronika who can manipulate time, along with fanfavorite characters, including, Baraka, Raiden, Skarlet, Scorpion, Sonya Blade and Sub-Zero and more. more ways than ever to continue the Mortal Kombat 11 experience. I also like that you can choose your victory and intro cinemas that's awesome.